The grip in the deadlift is an often overlooked yet crucial piece of the puzzle when it comes to performance and the subsequent gainzZz™ from the lift. In the 2nd installment of The Problem series, we’ll discuss the intricacies of gripping the bar in the deadlift, and what to do about it. To begin, let’s discuss why we’re strength training in the first place. The rather obvious answer is to get stronger – to produce more force against an external resistance. The process here is that the muscles that are responsible for lifting the weight must do their jobs with progressively heavier loads over time in order for them to be capable of producing more force. 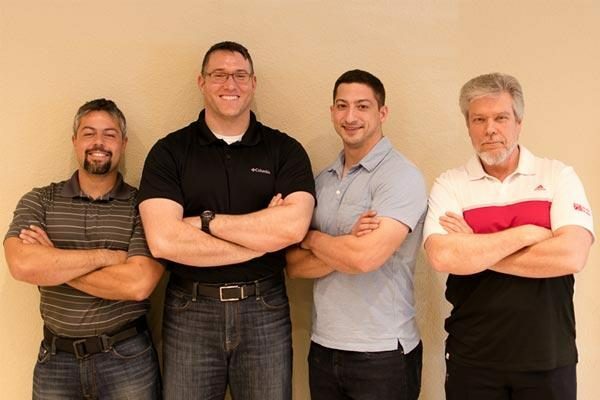 If a muscle within the kinetic chain of the exercise is not doing its job during a lift, but the lift is still completed, that muscle is not being required to produce more force during the lift, it will not continue to strengthen, and the training process will soon be interrupted. Consider deadlifting with a rounded lower back. In this example, the erector spinae are not doing their job, which is to produce force isometrically so that the back stays in normal anatomical position and transfers force from the hips and legs to the bar with maximum efficiency. Thus, when the set is completed incorrectly, the stress imparted on the erectors was not sufficient to make them strong enough for heavier deadlifts with the correct lumbar position in the future. In short, because they (the erectors) weren’t required to/able to do their job today, they won’t be able to do their job tomorrow when the load is greater. 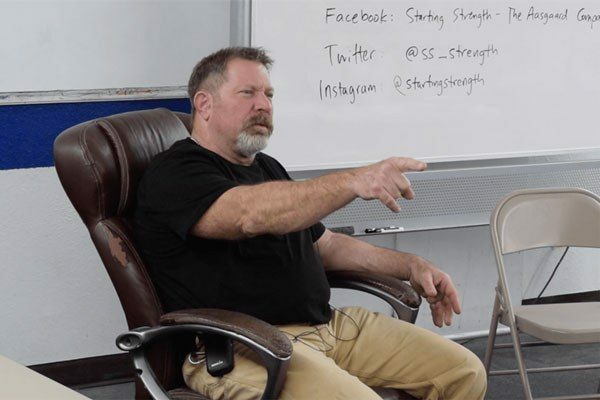 And so, it is important that we make the distinction between the goals of a powerlifting meet and strength training. In the former, the weight on the barbell matters more than the effect of the exercise, and we’ll accept certain deviations in form that would otherwise compromise the outcome of the stress-recovery-adaptation cycle, e.g. a rounded back in a 3rd-attempt deadlift. 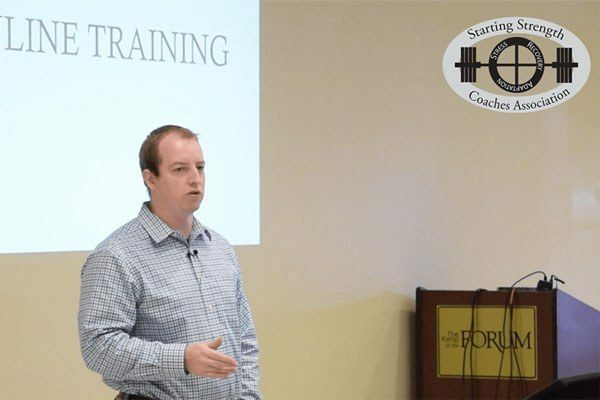 For strength training – this is muy importante – we should avoid these deviations in order to reap the greatest return on investment, the greatest gainzZz™, if you will, from our training. With all that said, we can discuss the grip in the deadlift. The deadlift is mainly a back, legs, and trunk exercise. Yes Virginia, the grip is also trained during the deadlift, but only secondarily to these other muscle groups. Still, it is important to develop a progressively stronger grip, which comes in handy for lifting progressively heavier weights and in day-to-day life. Luckily, the deadlift represents an excellent training tool for improving grip strength, though admittedly grip strength sometimes doesn’t keep pace with the back, legs, and trunk. At this point, it would help to define what “grip strength” really means so we’re all on the same page. The two primary “grips” that humans use to interact with their surrounding environment are the precision grip and the power grip. The precision grip refers to fine-tuned gripping and manipulation of objects using primarily the tips of the fingers and the thumb. 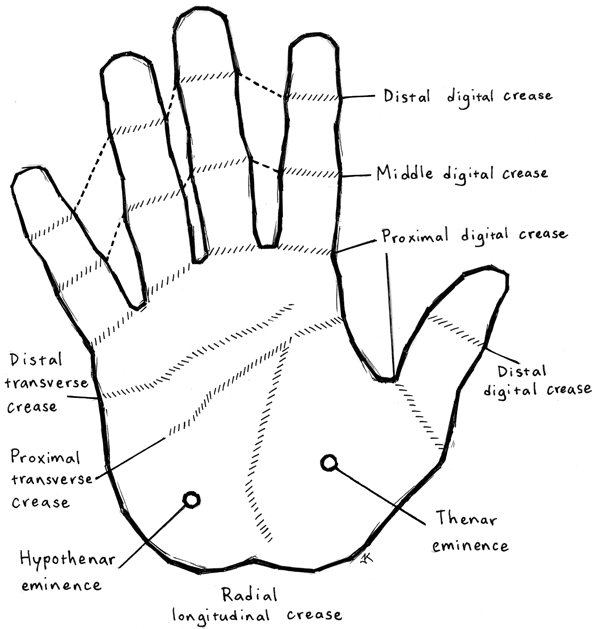 In contrast, the power grip refers to the gross action – palmar opposition – whereby the four fingers, the thumb, and the palm enclose an object and apply force to it. These two activities are quite different, and in fact they use different areas of the brain to produce their motor activity. For our purposes, e.g. lifting barbells or doing chin-ups, we use the power grip regardless of the specific way we grab the bar – double overhand, hook grip, or alternate grip. In all these scenarios, the tension of the fingers encircling the bar created by the musculature of the hand (the intrinsic musculature) and the musculature of the forearm (the extrinsic musculature) produces compressive force that is applied to the outside diameter of the bar. If the force is sufficient to create enough friction and “grip squeeze” between the hand and the bar, the load can be securely held. Knurling and chalk both help to optimize the friction created between the surface of the hand and the barbell, but muscular force (tension) is the primary source of “squeeze” regardless of the grip chosen by the lifter. The amount of force that can be applied by the hand and ultimately the amount of friction between the hand and bar varies significantly between the double overhand, hook, and alternate grip – so much so, in fact, that there can be hundreds of pounds difference between deadlifts done with each of them. The bar itself is a major factor in the grip equation. One variable that should be considered is the physical characteristics of the knurling, specifically the pitch and tooth depth. The pitch of a barbell’s knurl is the circumferential distance between the edges of two adjacent teeth at the depth where the blank steel bar’s diameter and individual tooth intersect. The tooth depth is just as it sounds, i.e. how tall the tooth is from the top to the bottom. A more aggressive knurl tends to have a wider pitch and greater depth, which tends to embed more effectively into the soft tissue of the hand. A smoother knurl tends to have a more narrow pitch and shallower depth, which increases the surface area of the knurling against the hand. The diameter of the bar is big factor as well. A 27 mm whippy deadlift bar tends to be easier to hold on to than a 29 mm stiff bar, with a 28 mm Olympic bar falling somewhere in the middle – a bar’s stiffness at a given length is dependent on its shaft diameter. It’s highly unlikely that those who train at a commercial gym will be dealing with 30-32 mm+ contest squat bars unless the gym owners had competitive powerlifters in mind when outfitting the place, or unless they bought the incredibly cheap junk-version of a 32 mm bar made from partially-melted soup cans, in which case the manufacturers have attempted to substitute diameter for metallurgy. The diameter of the bar determines how completely the fingers wrap around the shaft and thus complete the power grip. 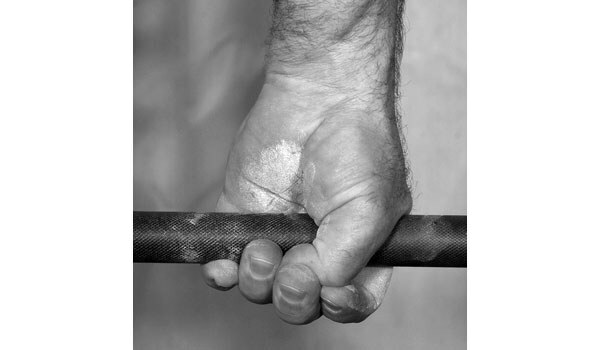 The amount of “squeeze” the grip can apply is dependent on how closed the fingers are into the palm of the hand, around the circumference of the bar. Try deadlifting with a 2-inch bar to see this effect for yourself. When the women’s division was added to Olympic weightlifting, the shorter 15 kg 25 mm bar was designed to accommodate the average woman’s smaller hand at a length of 200 cm while retaining approximately the same whip as the men’s 20kg 28 mm bar at 220 cm. Other lifters with bigger hands or more testicular fortitude may have different experiences, but my experience with different grips and bars tend to be pretty common. Olympic lifters who train the hook grip tend to be better hookers , if you will, than powerlifters who haven’t trained the hook grip as frequently, but again, this is quite variable. Now for the burning question: which grip should you choose? All of them. No seriously, all of them. Each grip has its own set of risks and benefits as it pertains to the performance of the deadlift and its training effect. Let’s go through the list and discuss the details. A double overhand grip is the most basic grip a lifter can take on the bar. A standard barbell has about 16.5 inches of smooth metal between the knurling. Most lifters’ deadlift stances will be just inside this knurling, and the optimal grip is just outside the legs such that the hands have no contact with the legs during the lift. Remember, a narrower grip reduces the range of motion of the deadlift so that heavier loads can be lifted. A double overhand grip puts the index finger at the inside edge of the knurling. As is the case with gripping any cylindrical object the diameter of a barbell, the implement will be held most securely at the level of the palmar digital crease at the junction of the palm and the fingers. 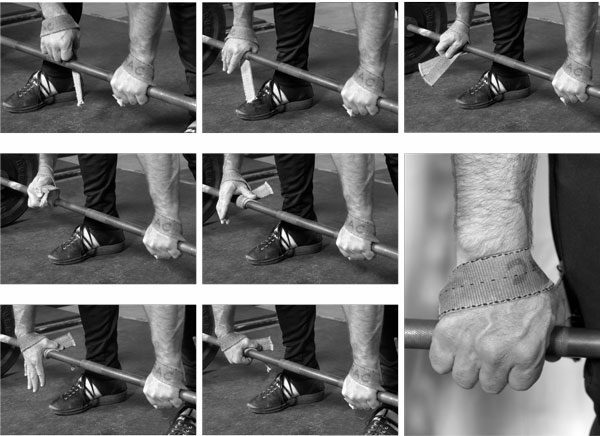 Attempting to hold a barbell, pull up bar, or other implement deeper/higher in the palm will result in the thing sliding down to this location under the tension of the pull, perhaps generating a nasty peaked (or torn) callus. In any event, the double overhand grip is just what it sounds like – both hands are pronated (palms down) and the thumbs are laid over the top of the encircling fingers. In this orientation, the tension created by the musculature of the hand, the friction between the bar and hand, and the friction between different parts of each hand on itself, e.g. the thumb on the fingers, all sum to produce a fairly secure grip for light to moderate loads. For a new lifter, the loads that sufficiently tax the musculature of the back and legs during a set of five may very well be handled with a double overhand grip. The inherent shoulder symmetry of this grip – both shoulders are in internal rotation – provides an advantage that it shares with the hook grip. However, because this grip does not benefit from significant frictional forces between the hand and itself, it tends to produce a less secure grip overall. As a consequence, most lifters who have been training for a non-trivial amount of time cannot use this grip during their work sets or during a competition because grip becomes the limiting factor before sufficient stress has been imparted to the musculature of the back, legs, and trunk. Conversely, this negative can also be seen as a positive in some ways, during warm-ups for example. Because there isn’t much hand-on-hand friction in the double overhand grip, the force production requirements from the muscles of the hand are greater than they would be if using a hook grip or alternate grip at the same weight. Thus, a reasonable strategy for increasing grip strength overall could be to use the double overhand grip up to as heavy a weight as possible during the warm-up process. The “hook” of the hook grip is made between the thumb, index, and middle finger. The muscles that operate each of these digits apply a compressive force to the barbell, just as the double overhand and alternate grip do. However, the unique feature of the hook grip is the additional frictional component layered on top of the muscular forces. This additional friction is created between both the thumb and the barbell and the interaction between the thumbnail with the middle, and to a lesser extent the index, fingers. Lest you think this additional friction is insignificant, consider the frequency of tears in the skin of a naked thumb while using the hook. It’s so common for this to happen, in fact, that experienced lifters wrap their thumbs with athletic tape for protection. When applied to a flexed thumb, the tape offers both a layer of protection and possibly a surface with increased coefficient of friction compared to skin. I’ve dug into the scientific data a bit here and unfortunately, there’s not much out there on experimentally derived coefficients of friction for athletic tape. 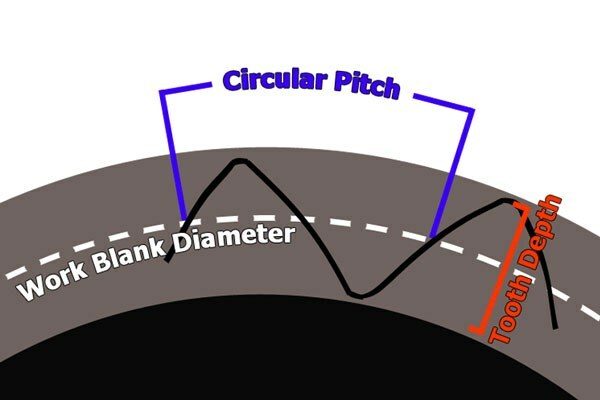 As an aside, friction is the resistance to sliding between two surfaces in contact with each other. The coefficient of friction (CoF) is the ratio between the force of friction and the magnitude of the force that the surfaces exert on each other. To get an idea of how these three variables relate, consider the example of a steel prowler loaded with plates for a total of 100 pounds on a concrete floor. The friction force between the sled and floor is determined by the coefficient of friction of steel on concrete (0.45) & and the weight of the sled (100 pounds). The friction force, then, is 45 pounds (so, I'd need to push with about 46 pounds to get the sled to budge). If the same sled were on ice? The CoF of steel on ice is 0.03. So, I'd need to push with just over 3 pounds of horizontal force to get the sled moving. Big difference. I couldn't find any measurements for the CoF of the "human hand on barbell" but "dry skin on steel" has been measured at a range of 0.5-0.75 which is the highest CoF of any region of the body tested. The argument that taping the skin increases friction is lacking a bit, in my opinion. Consider the act of runners or other athletes taping various areas of their feet to prevent blistering. Would increasing the friction between the shoe and skin or the sock and skin be a good thing? Presumably not, but maybe the tape acts as more of a barrier in that application. With the hook grip, the additional friction forces between the middle finger and the thumbnail layered on top of the muscular tension created in the hand can produce a stronger grip for most people compared to the double overhand grip. As mentioned above, the grip produces shoulder symmetry – both sides are in internal rotation, and this is a very important consideration when it comes to choosing the best grip for your deadlift, due to long-term training considerations and their effects on the shoulders and arms. The barbell’s diameter can play a big role here, depending on the length of the lifter’s fingers, the thickness of the palms, and the size of the hands overall. For instance, I wear a size 9 glove and feel fairly comfortable hook gripping loads around 600lbs on a 27 or 28mm barbell. However, if we increase the size of the bar to 28.5 or 29mm (or larger), all bets are off. If I had longer fingers, bigger hands, or was stronger, perhaps this would be different. The alternate grip is just what it sounds like: one hand is overhand (prone) and one is underhand (supine). Most folks tend to prefer the dominant hand to be the overhand side, though this is not a hard and fast rule and may change with injury. It works because the bar is trapped between the flexed fingers of the hands pointed in opposite directions, so that friction is maintained evenly if the flexed fingers begin to open under a limit load. Because of the effectiveness of the friction component of both grips, both the hook grip and the alternate grip have been used to perform record deadlifts. Of the two, the alternate grip is more comfortable due to the absence of crushing force against the thumbnail, and this is probably why it is more commonly used. The alternate grip is unique in that it imparts an asymmetric stress onto the body at multiple levels. The three we will focus on will be the upper limb, the shoulder girdle, and the lower back. In the upper limbs, both the elbows and wrists are under asymmetrical stresses when holding a bar using the alternate grip. With one arm supinated (palm up) and the other pronated (palm down), the supine arm has a carrying angle, which is useful for clearing the hips when walking with a load. With the body in normal anatomical position, i.e. standing upright with supinated arms, the carrying angle is defined as the angle between the midline of the forearm and a line passing through the axis of the humerus, with 5-15 degrees being normal. With the alternate grip, only one arm has a carrying angle, and one might incorrectly assume that this asymmetry requires a different grip width be taken from the center of the barbell. Under a load such as a heavy deadlift, the arms are under tension and the carrying angle is wholly eliminated in the supinated arm. Similarly, in normal anatomical position, the wrist joint has some radial deviation in proportion to the carrying angle of the forearm. This angle is also eliminated when holding onto a heavy deadlift. Suffice it to say that while it is true that the supine forearm displays an unloaded carrying angle that the prone forearm does not, placing a heavy load in the hands makes the grip of the supine hand behave just like the grip of the prone hand. At the level of the elbow, however, there is very real asymmetry with the alternate grip. The biceps brachii, which extends from the corocoid process and supraglenoid tubercle of the scapula, proximally, to its distal insertions on the radial tuberosity and deep fascia of the forearm, absorbs the brunt of this asymmetrical force. The biceps’ primary function is supination of the forearm, and the pronated arm’s bicep therefore has a significantly different length-tension relationship than the supinated arm’s bicep. applied to the supinated arm with a slightly flexed elbow. Classically, the lifter will “jerk” the bar off the floor resulting in a large force being rapidly applied to the biceps tendon. A “pop!” is both felt and heard in the elbow. This injury also occurs when flipping tires in strongman contests, which makes sense given that the hands are also supinated and the elbows usually flexed a little. One way to avoid this problem is to avoid the alternate grip, if possible, by training the hook grip to a level where it can be used on heavy work sets. For the competitive lifter, however, this may not be a suitable option if the hand anatomy and the equipment being used in the competitive setting prevent a strong hook at competition weights. In this scenario, the alternate grip is de rigueur and it, like everything else in the strength sports, needs to be trained progressively over time to become stronger. The alternate grip in and of itself is probably not terribly dangerous from a biceps tendon rupture perspective, especially if the lifter is coached to get tight, to pull with a completely extended elbow, and to not jerk the barbell off the floor. The next level of asymmetry is at the shoulder. When we supinate the forearm, there is a small amount of external rotation of the humerus. Externally rotating the arm affects the muscles that insert on the anterior aspect of the proximal humerus. From medial to lateral they are the teres major, the latissimus dorsi, and the pectoralis major. This relationship can be remembered as the “mis” (latissimus) that lay between two majors (pec and teres major). The latissimus dorsi runs from the posterior lamellae of the thoracolumbar fascia, spinous processes of T7–T12, the iliac crests, and the lower 3-4 ribs all the way to the intertubercular groove of the humerus. The intertubercular or “bicipital” groove separates the tubercles where the teres major and pectoralis major attach medially and laterally, respectively. When the humerus is externally rotated during supination of the hand, the intertubercular groove is also externally rotated, thereby affecting the latissimus dorsi’s orientation, its length-tension relationship, and subsequently the amount of force it can produce. The potential implications of this decreased force production are “windmilling” and perhaps back tweaks, as you may have already noticed. Windmilling is the term used to describe the tendency for the barbell to drift away from the lifter’s legs on the supinated side. It is likely that the altered force production of the latissimus dorsi is the main cause of this phenomenon, since the lat is the primary extensor of the glenohumeral joint (the shoulder), i.e. 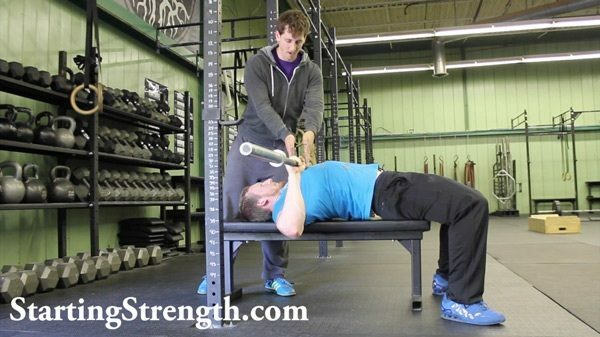 it pulls the humerus to the posterior and thus helps keep the bar in contact with the legs during the pull. During a deadlift – either conventional or sumo – a heavy weight will leave the ground when the barbell is directly vertical to the midfoot and the shoulders slightly in front of the bar. This orientation is, for better or worse, non-negotiable and it results in the arms creating an angle backwards towards the barbell instead of them being completely vertical. Therefore, shoulder extension via the lats creating muscular tension on the humeri is necessary to keep the barbell in contact with the lifter’s legs. Keeping the bar on the legs is very important, as letting it drift away forward increases the length of the moment arm between the barbell and the hips along the back and legs, which increases the amount of force needed to successfully lift the same weight. An interesting thought, which is purely observational (and perhaps biased) is that lifters tend to get back tweaks more frequently on the side of the body they supinate during a deadlift. Consider that the lats do not concentrically shorten during the performance of a deadlift, but rather they exert an isometric force against the upper arms to keep the barbell in contact with the legs. This occurs along the length of the entire muscle, which for all practical intents and purposes runs from the lumbar and thoracic spine to the front of the upper arm. As mentioned above, one of the origins of the latissimus dorsi is the posterior lamella of the thoracolumbar fascia. The force vector generated across this fascia runs up to the arm and likely aids in maintaining the normal anatomical lumbar extension present in a correct deadlift. When we change the position of the insertion and subsequently compromise this force production, we can see a mechanism for potentially decreasing the ability to maintain this position under load when using an alternate grip, which may increase the potential for a tweak on that side. 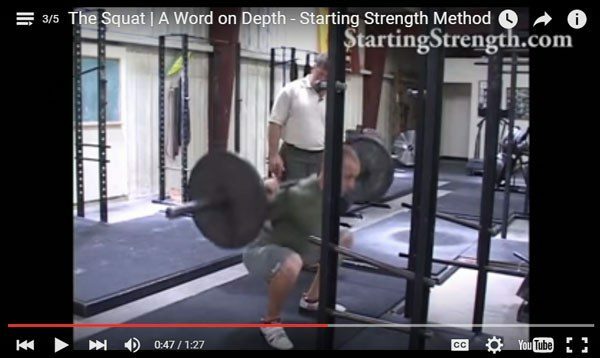 Furthermore, since the barbell tends to more easily swing away from the lifter on the supinated side, e.g. windmilling, the resultant increase in moment force exerted by the loaded barbell on that side of the back may be more culpable. Again, I have no real data on whether or not injuries more commonly occur on the supinated side in those who deadlift with an alternate grip, but it seems like a plausible question to ask. Another question pertaining to the alternate-grip deadlift is, “When in my workout should I start using the alternate grip?” The answer is that, at a minimum, your last warm up set and work sets should be performed with the alternate grip, as you don’t want to introduce any new variables into the equation between the last warm up and the work set. It’s kind of like the “When should I put on my lifting belt?” question in this regard. Knowing all this, why would we choose to deadlift using this grip? Sometimes the hook grip is just not a good option due to equipment, anthropometry, pain tolerance, or other factors, and we still need to get strong, right? Moreover, if someone is going to a powerlifting meet, they’ll need to find a suitable grip since straps are not allowed. This question becomes a bit more nuanced for the non-competitor population. Lifting straps allow a trainee to use a double overhand grip at work set weights, and above, for example on a set of rack pulls in excess of a lifter’s 1-rep max from the floor, and barbell shrugs – exercises commonly done with weights in excess of max deadlifts. They are placed around the upper hand, not the wrist, and wrap around the bar under the fingers in the opposite direction the fingers wrap, i.e. the back of the bar from bottom to top. There are no asymmetrical forces imparted on the lifter when using straps, since the shoulders are symmetrically rotated. So this seems like the obvious choice for non-competitors who need a stronger grip in order to effectively train the deadlift, but who cannot manage to use a hook grip during their work sets or who have torn up hands. Conversely, using straps exclusively doesn’t help build the requisite grip strength needed for deadlifts and this drawback must be weighed carefully against using a alternate grip at heavy weights. In my opinion, straps can be used judiciously in the later stages of the novice progression if the hook grip is not a suitable option, and for those who have a low likelihood of competing in a powerlifting meet. It’s really a judgment call, but I find that straps tend to be over-utilized by younger “bros” and under-utilized by older “geezlings.” Either way, any serious trainee should have a good set of leather or one-piece nylon weightlifting straps in their gym bag for use when the time arises. Use a double-overhand grip on all your sets for as long as possible. When this grip is no longer reliably secure, try the hook grip and really try to train it. If this is not a viable option for you or your equipment, use an alternate grip to train your deadlift. Make sure you’re using chalk. If you have no aspirations of ever competing, you can use lifting straps in place of the alternate grip. 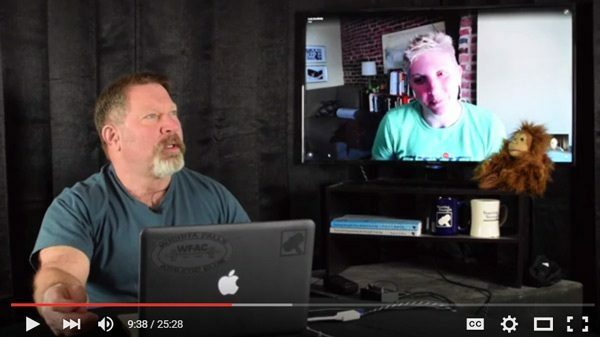 Author's note: I am indebted to Mark Rippetoe for his help in the editing of this article. Rip benefits the SS community – and especially me – with his wisdom, experience, technical expertise, and generosity. His most important gift to me personally is a sense of humility. It is a debt I can never repay, and why would I want to?